Sony and Naughty Dog demonstrated an impressive in-game trailer for Uncharted 4: A Thief’s End during the platform holder’s press conference last Monday. The footage wowed many, and revealed certain details regarding the latest iteration of the franchise, including some very exciting vehicle action. Naughty did hide a very clever easter egg in the trailer that was far too easy to miss. 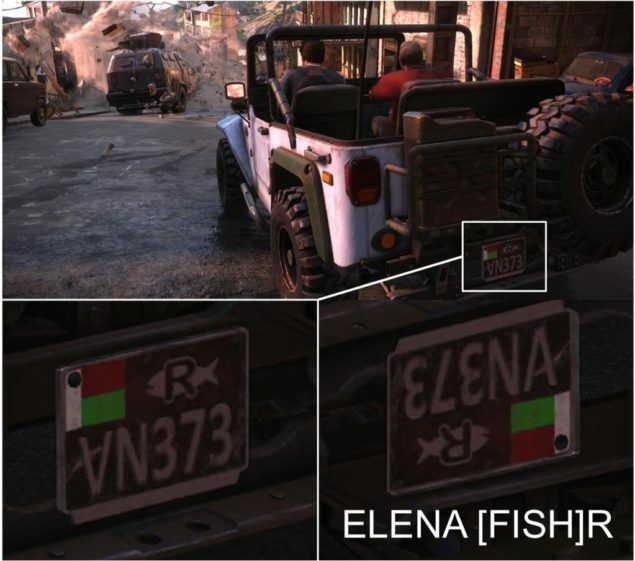 As the image below demonstrates the license plate of the jeep featured in the trailer, hides Elena’s name. The VN373, when turned upside down and cleverly getting an added scratch turning the upside V into an A, spells ELENA and the “FISH” shape and letter “R” forming her last name, FISHER. 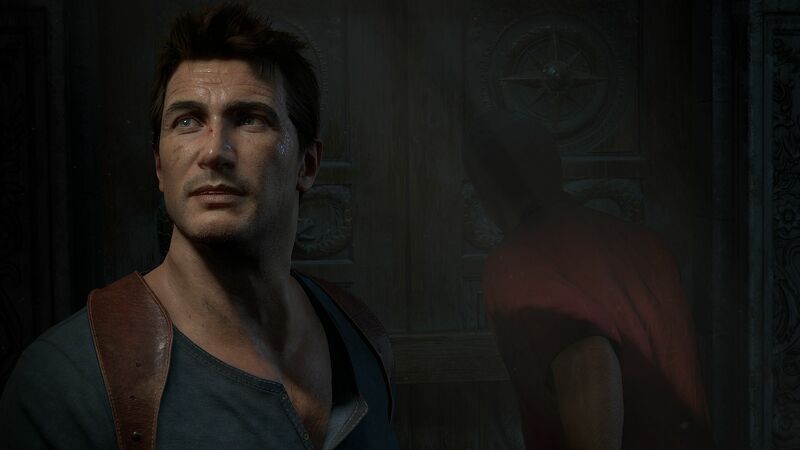 Uncharted 4: A Thief’s End is the latest installment of the award-winning UNCHARTED series. Created by acclaimed developer Naughty Dog, Uncharted 4: A Thief’s End will launch exclusively for the PlayStation 4 system. Bringing the franchise into the new generation of gaming, A Thief’s End will be the most epic Uncharted adventure yet featuring new dynamic gameplay mechanics for combat and traversal, larger and more open environments to explore, and enhanced graphics and character animations to bring the game to life in a whole new way. Set three years after the events of Uncharted 3: Drake’s Deception, Nathan Drake has presumably left the world of fortune hunting behind. However, it doesn’t take long for adventure to come calling when Drake’s brother, Sam, resurfaces seeking his help to save his own life and offering an adventure Drake can’t resist. On the hunt for Captain Henry Avery’s long-lost treasure, Sam and Drake set off to find Libertalia, the pirate utopia deep in the forests of Madagascar. Uncharted 4: A Thief’s End takes players on a journey around the globe, through jungle isles, urban cities and snow-capped peaks on the search for Avery’s fortune. Naughty Dog released a quite interesting video detailing what the job of a Visual Effect Artist at the highly acclaimed studio entails. Aiming to attract new talent, VFX artists Eben Cook and Iki Ikram, give us a small glimpse of a work-in-progress explosion in Uncharted 4 (at the 2.54 mark) and of some shooting (at the 0:40 mark). 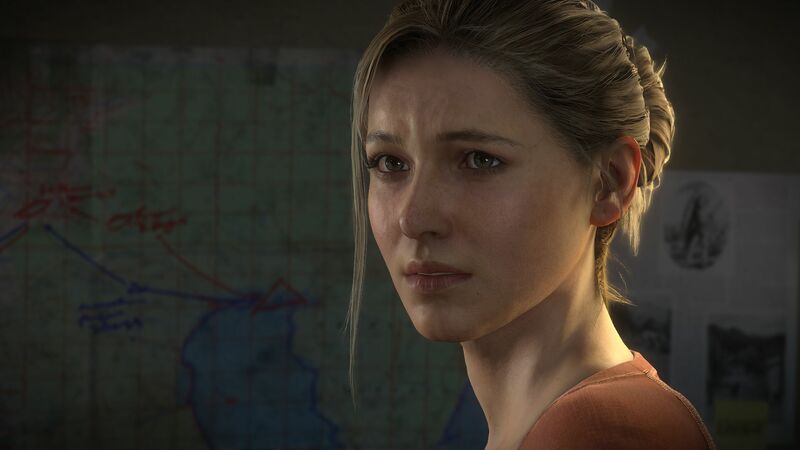 We will bring you any new information on Uncharted 4 as soon as it becomes available.